Manu is using Smore newsletters to spread the word online. Buddhism is about living a life without sorrow. To achieve this, they give up self desires and live in the pursuit of enlightenment. The customs they follow include seeing positive and negative in everything in order to get rid of hatred, and at the same time, they develop honesty, trustworthiness, and wisdom. Once they accomplish being at peace with the body, mind, and speech, they have become cultured Buddhists. 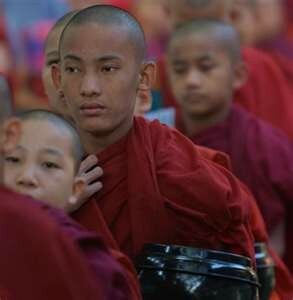 The boys are expected to shave their heads if they believe in Theravada Buddhism. Marriage in Buddhism is considered more of a social event than a religious event. There is no rule that one has to get married. A family in Buddhism includes the extended family as well. They believe that if any issue were to adhere in the family level, then it will cause a domino affect of problems in society. Sri Lanka, Tibet, and Japan follow a Buddhist caste system marking butchers, laborers, and janitors as unrefined, but it’s slowly fading away. Exceptions include Nepal, where ‘pure’ priests will not let people from other castes into their temples. Shown above are the eight Tibetan Buddhist symbols known as the Sanskrit which symbolize Buddha. They all come from the three pillars, the Buddha- Dharma (his teachings); Sangha (monks and nuns); Without these pillars, Buddhism would only be “written in books” and will have little cultural value. Though this text is written in Chinese and it originated in India, the Diamond Sutra is one of the most important documents in Buddhism. It helps to provide a "high incarnation" and it's only five pages long. 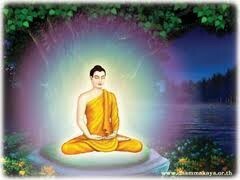 Gautama gave up his royal life to seek enlightenment through meditation. Once he achieved his goal, he was known as Buddha and spent the rest of his life teaching people the philosophy of Buddhist salvation. The Buddha's cousin and one of his primary disciples. 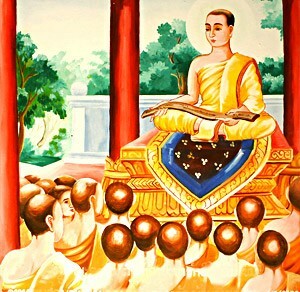 He memorized and recited the Buddha's teachings, and so was known as the Dhammabhandagarika, "treasurer of the teachings." Dalai Lama's are the spiritual leaders in Tibet. 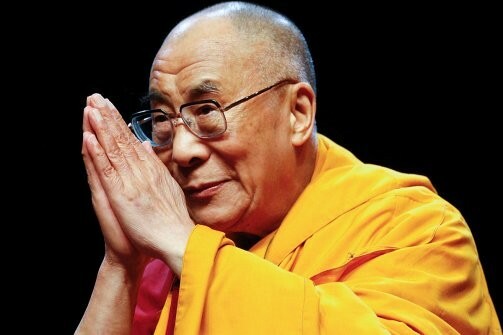 The current (and fourteenth) Dalai Lama is Tenzin Gyatso. Buddhism began as an offspring of Hinduism in the country of India. 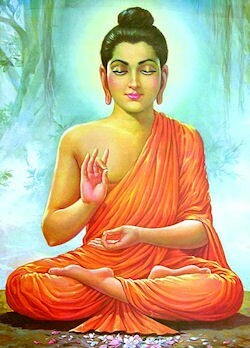 The founder was Siddhartha Gautama. Much of his life is now described in myths and legends that arose about his unknown life. Gautama was born about 563 b.c. in Northern India. His father was King Suddhodana and his mother was Queen Maya. They were the rulers of what is now present day Nepal. Gautama had a life sheltered from religious teachings and human suffering because his father wanted him to become the next King and to never leave his palace. But Gautama took a series of 4 trips that changed his life. In the first trip, he met an old man. In the second trip he met a sick man. On the third trip, he encountered a corpse. These encounters caused Gautama to take a different perspective on life and on the fourth trip, he encountered a monk. 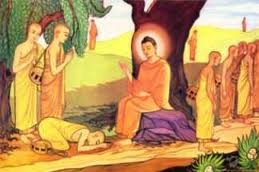 The monk had given up everything he had to try and put an end to suffering and taught Gautama about withdrawal from the world. Gautama felt bad about his life of ease and shelter, so one night, when he was 29 years old, Gautama ran off into a forest and lived there for the next 6 years. 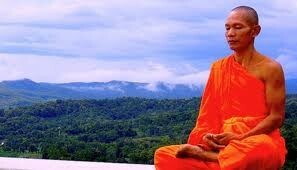 In the forest he thought about and experimented with forms of meditation. Gautama emerged from the forest as the enlightened one, or the Buddha, and spent the next 45 years of his life preaching his views across India. During these years, he trained monks, established orders, and preached to the public. 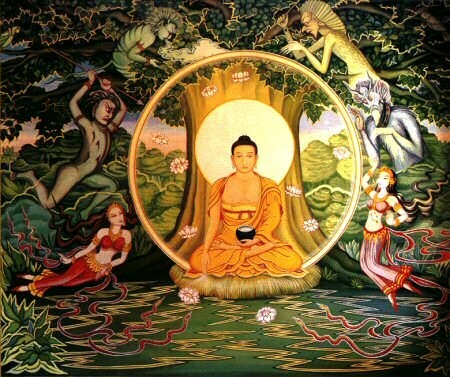 Theraveda is the older of the 2 largest branches of Buddhism. “Theraveda” means “the way of the elders,” which indicates that the Theraveda Buddhists believe that they are closer to Buddhas original approach to the religion and that Buddhism is a full time occupation. 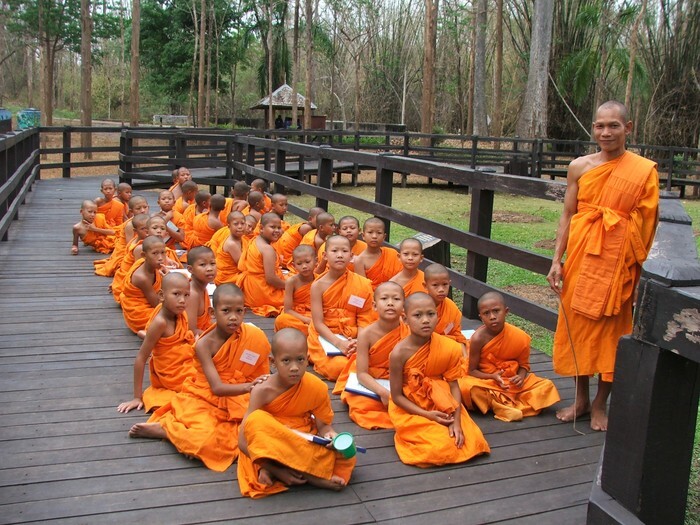 They believe that in order to become a good Buddhist, you must renounce worldly goods and become a monk. Theravidists emphasize Buddha’s life of self-help and years of solitary introspection. They cite Buddha’s wisdom. Mayana split from Theraveda Buddhism 2,000 years ago. Mayana translates to “the bigger ferry” or “raft.” Mayanists believe that their approach to Buddhism can help more people because it is less demanding and all-encompassing. Mayanists emphasize Buddha’s later years of teaching and helping others. The cite Buddha’s compassion. After Siddhartha became the Buddha, he traveled throughout India for several decades to spread his philosophy to anyone that would listen. After Buddha died in 483 B.C., there were still people that were devoted to his teachings ,and small communities of monks formed. However, these monks would have been overshadowed by the popular Hindu religion if it weren’t for Ashoka. Ashoka was a king of the Mauryan empire, and he was troubled by the conquests, so he converted to Buddhism. The great spread of Buddhism can be credited to him, because he sent monks to surrounding territories to share the teachings of Buddha. This was the beginning of the spread of Buddhism, and it became an international religion. Buddhism worship is usually done by individuals rather than congregation, and can be conducted at home or at a temple. 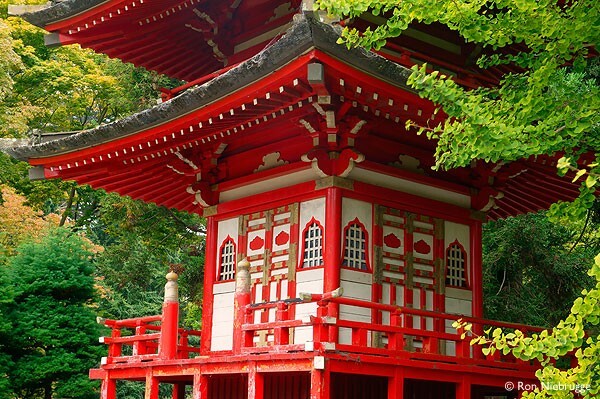 The most well known Buddhist temples are the Pagodas in China and Japan. Buddhist temples are designed to symbolize the five elements--fire, water, air, Earth, and wisdom. Buddhism has four holy places; Buddha’s sights of birth, enlightenment, first discourse, and death. 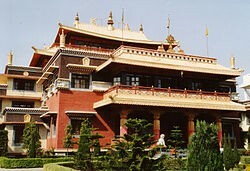 Lumbini is the place where Buddha was born, and it is in present day Nepal. Bodhgaya, In India, is the place where Buddha achieved the ultimate enlightenment. The site where Buddha delivered his first sermon, Sarnath, is also located in India. The sermon was about seeking spiritual peace. 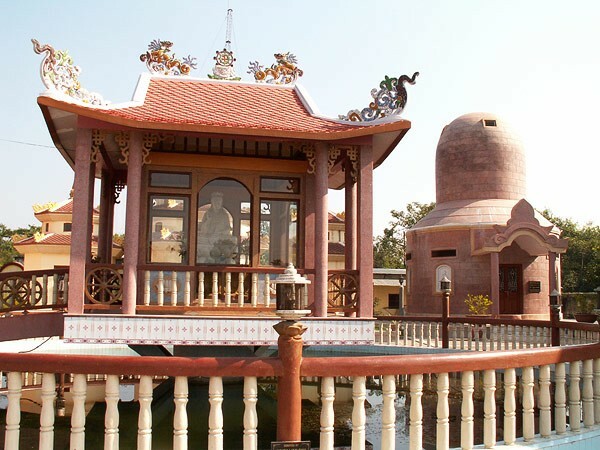 The final holy place of Buddhism is Kushinagar, located at the same place that Buddha gave his first sermon in India. It was here that after 45 years of preaching, Buddha passed away. 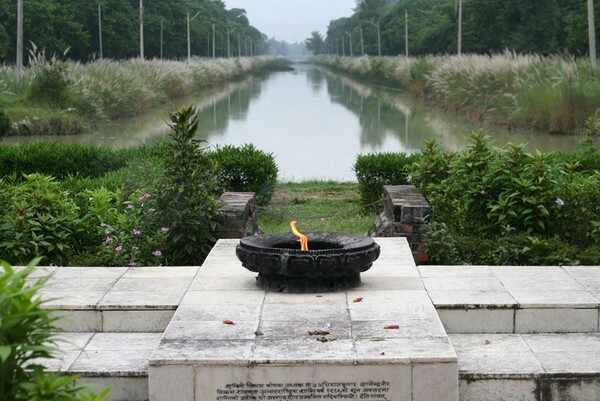 The birthplace of Buddha, Lumbini. Modern-day Sarnath, where Buddha gave his first sermon. Buddhist temples at the sight of Buddha's death. Because Buddhism is a universalizing religion, the distribution of the religion is very widespread. Mainly, it is practiced in Asia, particularly the Southeast. The top five countries with the highest proportion of Buddhism adherents are Thailand, Cambodia, Myanmar, Bhutan, and Sri Lanka. How many followers does Buddhism have? There are an estimated 350 million adherents of Buddhism worldwide. Why did Buddhism become a universalizing religion?